Bundle includes 3 items: Plates, Napkins & Tablecover. 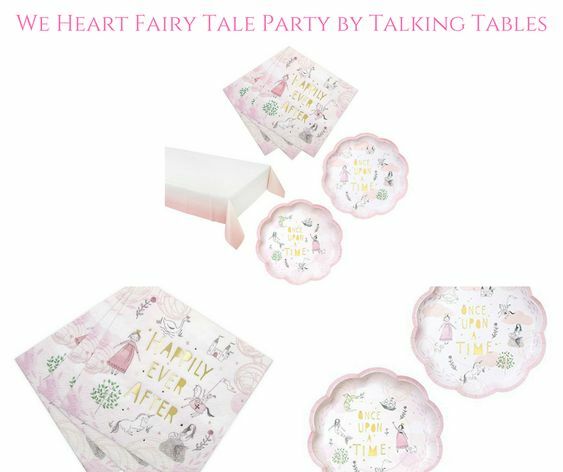 Throw a spectacular pink or fairytale theme birthday party with our gorgeous fairytale collection. Essential pastel tableware items that are ideal for a happily every after occasion, birthday, story nights, or celebration. 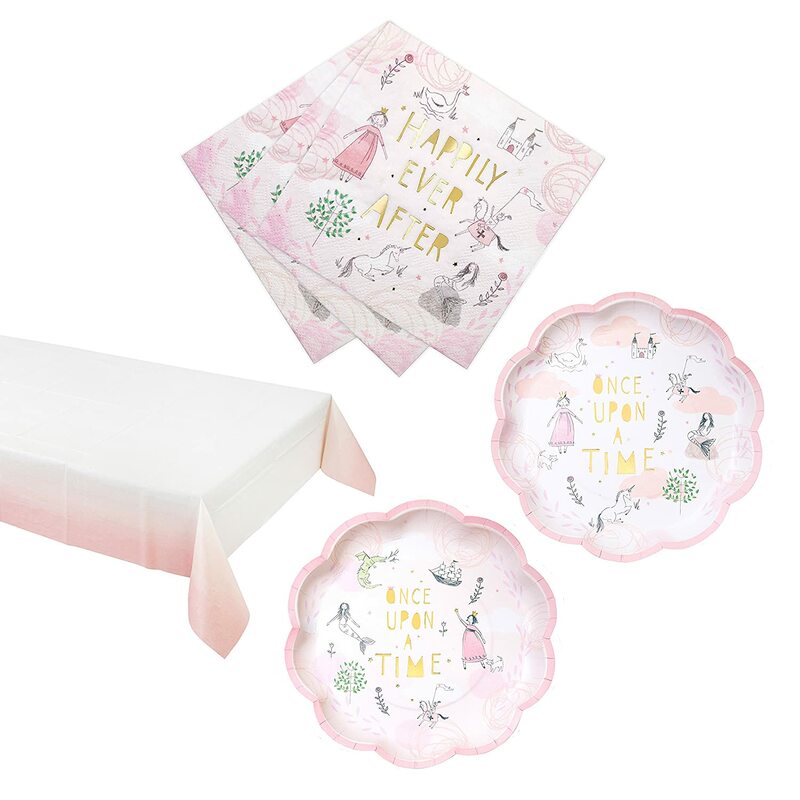 Add a marvelous pink touch with these 10” adorable flower shaped, fairytale paper plates. 12 pink plates great for delicious salads deserts or food. 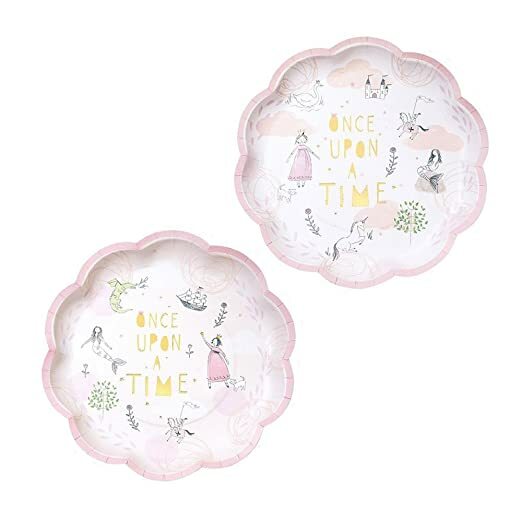 These plates are sure to tell a once upon a time story. Pretty in pink, fairytale print 10” napkins to make your parties special. 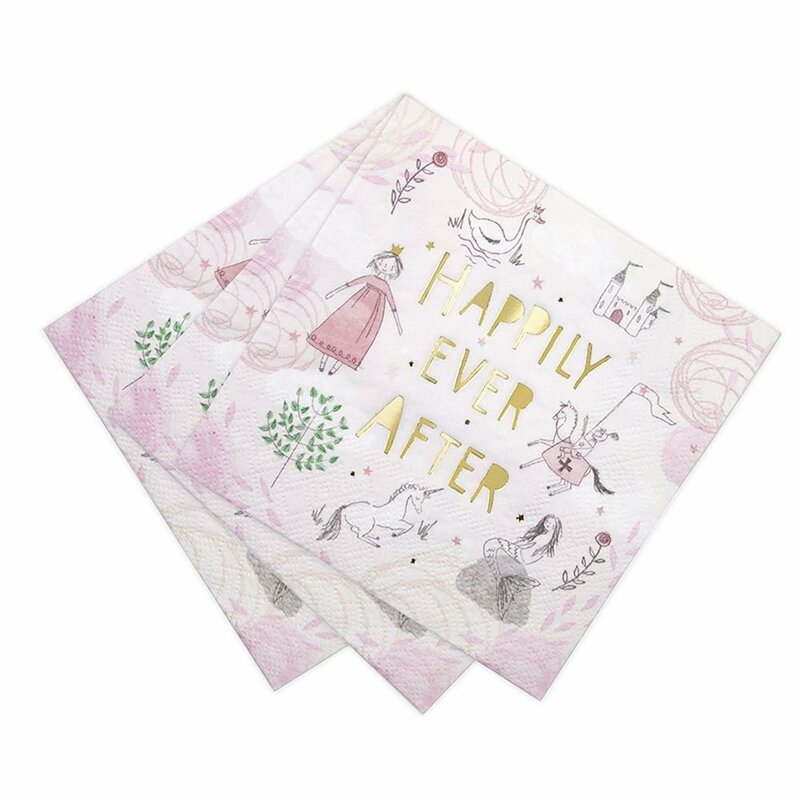 Each napkin is printed with “Happily Ever After” gold foil design. Each bundle contains 16 napkins. 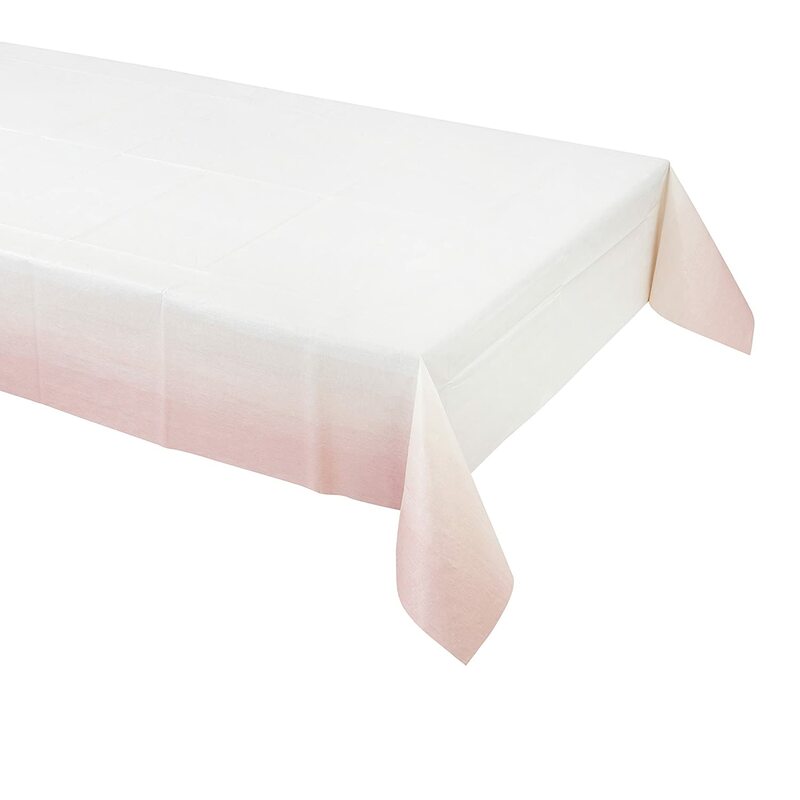 A lovely pink paper table cover that literally goes with any occasion. Birthdays, bridal showers, baby showers or any celebration, this ombre cover is a must have for any pink party. Dimensions: 71”x 47”. 100% Satisfaction Guarantee – If you are not completely satisfied with these items, we will refund your money. 12 paper plates. 9″ Diameter. Good paper plates for salad, dessert or dinner! High quality paper party supplies. Imported from England.